I had eaten a Cajun Chicken pasta dish once before I came up with this recipe. It was a Cajun Chicken Alfredo from a restaurant and I wasn’t very impressed. 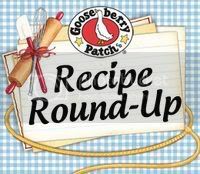 I knew the idea of the recipe was amazing but their execution of it was lackluster. 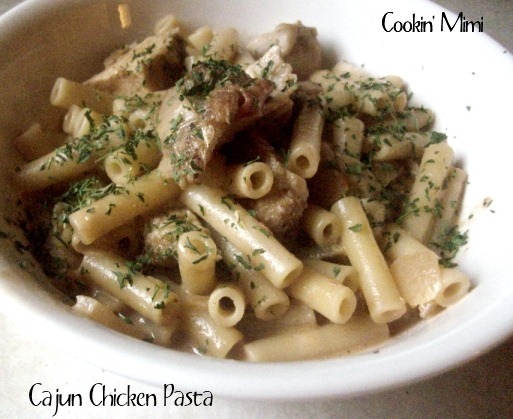 I noticed that there was a stream of chicken and pasta recipes being posted on various blogs I read and it reminded me of the meal from several months ago. I was determined to make a recipe that would live up to what I thought Cajun Chicken Pasta should be: creamy sauce with just a hint of heat from the spices, chunks of chicken that are tender on the inside and browned and slightly crusty on the outside mixed with perfectly cooked pasta. This was pretty much a pantry meal. The only ingredient I had to go out and purchase was the heavy cream. I would have used sliced bell peppers in it instead of the salsa but peppers are currently priced $2.00 each in the local grocery store. Heat the butter and olive oil in a heavy bottomed skillet or Dutch oven over medium heat. Season both sides of the chicken with the Cajun spices and place in hot butter/oil mixture. Cook until well browned and cooked through approximately 8-10 minutes a side. Remove chicken to a dish and let cool. Add the onions to the same pan you cooked the chicken in and cook until softened and translucent, stirring frequently to prevent burning. Pour in chicken broth and salsa and simmer until reduced slightly. Cut the chicken into bite sized slices or chunks and return to the pan, along with the heavy cream. Simmer until chicken is heated through and sauce has thickened to your liking. Check for seasoning and add salt and pepper if needed. Mix with pasta and serve. I love a little kick in my cream sauce! I can’t wait to try this one!